I remember hearing about the tragic Esperanza fire when it occurred in 2006, but avoided reading much about it, mainly because it hit a bit too close to home. The fact that a number of Forest Service firefighters had died in the line of duty was bad enough, but at that point in my life, I felt the return of a growing resentment that my former firefighting career had ended. True, it had ended in 1983 with one of two knee surgeries, and I held onto resentment for a long time after that, but the feelings were back as my current career goals began to suffer in a downhill economy. You see, I wished I’d still been in the action. Did I want to die in a fire? Of course not. But whenever tragedy struck the wildland firefighter community I felt like I was missing out on something. 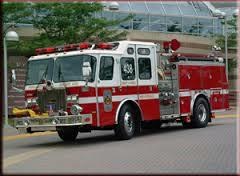 While I was writing my book, I decided to read a few books on firefighting. A friend loaned me John Maclean’s book “The Esperanza Fire: Arson, Murder and the Agony of Engine 57.” That book upset me so much I couldn’t sleep. Nightmares took over my dreams, and the feeling of loss was overwhelming, both for horrible way the victims died, the friends, family and coworkers of the men, but again for the loss of the career I did not want to leave. Therefore, when I read this morning about how difficult it was for the screenwriter to complete the script for the upcoming movie “Esperanza” I understood why. The story is a complex one, and to present the events without boring non-firefighters would be challenging. I am not sure I will be able to watch the movie however, which at this writing does not have a release date. Also, just the other day I read an extensive article about how the Forest Service is looking to change firefighting protocol based on the events of the Esperanza Fire. The reason these men died was because they were protecting an unoccupied home. It amazes me that after 10 years fire officials are still examining that practice. Wildland firefighters are not trained to fight structure fires, nor do I believe they should be risking their lives to protect homes from fire. That is how those men lost their lives. With the urban-wildland interface conflict increasing as more homes are built next to remote areas prone to fire, authorities need to make a firm decision on where wildland firefighters must draw the line before more lives are lost. Why this has not yet been resolved, I don’t understand. Joy Lofthouse and her sister Yvonne, thanks to Pauline Gower, who persisted in questioning Parliament why women weren’t allowed to fly planes, eventually making it possible for the pair to join the Air Transport Auxiliary in 1943. Their job? Ferry Spitfires and Hurricanes from the front lines to the factory for servicing. This in itself was a dangerous job, and back then, for a woman to take on such work, was also unheard of. What is also amazing is that they actually earned the same pay as the male pilots. Ironic, since that rarely happens even today. When recently interviewed, Mrs. Lofthouse said she was proud of the work she’d done and did not concern herself with the dangers. It was important to her to be a part of the war effort, and, she said, to have the opportunity to be her own person and earn an income at a time where most women were concerned about getting married and having children. She loved the independence this job gave her. She also reveled in the reactions from people back then when she told them she flew aircraft before she learned to drive. 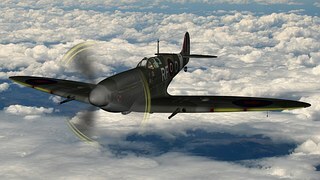 Then, at the age of 92, Mrs. Lofthouse had the honor to fly a Spitfire once again, 70 years after she’d last flown. This both thrilled and delighted her, if not scared her a bit. But she managed and said she felt young again. Sadly, she passed away just days before her 93rd birthday, but she will always be remembered not only for one of the first to enter man’s flying world, but as a trailblazer for women’s rights in equal pay for equal work. "Let it burn" versus "put it out." When I worked for the Forest Service back in the 1970’s, we put out ALL fires. Big ones, little ones, ones started by lightning, ones started by humans. Total fire suppression back then was still considered essential. Not only that, but a 50,000 acre fire was considered monumental. Within ten years however, biologists had a new take on fire ecology. Without fire, forests grew thick and impenetrable. So thick, that when a fire did start, huge conflagrations (hundreds of thousands of acres) engulfed forests leaving nothing but sterile soil and little hope of recovery. The “let it burn” policy was implemented in the 1980’s. The idea was to let fires burn naturally if they were caused by natural events and if they threatened no people, homes or other structures. This all sounded good on paper. In practice, though, not so good. In fact it’s proven to be nearly impossible to implement. Why? Because we’ve been putting fires out for so long, the idea of “Oh, just let it burn itself out” ends up creating catastrophic fires that can’t be put out at all. Most wildfires now either die out because there’s nothing left to burn, they are rained out, or they meet up with natural firebreaks such as large expanses of rock or pavement. A prime example is what happened in 1988 to Yellowstone National Park after summer storms sparked multiple blazes. Because these fires were lightning caused, officials chose to monitor them instead of fight them. However, high winds, added to a drought-stressed landscape, in no time caused 150,000 acres to disappear in twenty-four hours. Nearly 10,000 firefighters were dispatched, but even they couldn’t contain the monster. It took months to put the fires completely out, but not until over a million acres were scorched and 120 million dollars were spent. Fire officials had to admit the “let it burn” plan wasn’t working. In 2009 a new policy was introduced. Instead of letting fires burn or putting them all out, a more logical approach is in practice. It took that long for officials to figure out that we don’t have that much wilderness left to let fires burn. I’ve been saying that for years! Now they are looking at all of the components affecting the decision to fight the fire or not, including the encroaching of humans on wilderness edges. Let’s face it, who wouldn’t jump at the chance to build a home with a protected forest in your backyard if you could afford to? What people don’t understand, however, is this comes with a price. Just like those who build in hurricane, flood, tornado or earthquake territory: you have to be prepared for loss. What’s different about building adjacent to wilderness areas is those homeowners expect the Government to protect their homes from a wildfire, when they really have no right to. The tragic part is that although wildland firefighters are not trained in structural firefighting, they want to help, and some have lost their lives trying to save private structures. Then there is the public outcry over the loss of our precious National Forests and Parks, which I think has validity. Should we really be letting what little we have left go up in smoke? It’s not like there is plenty of scenic lands left to convert into new parks. I’m looking at that scenario right outside my living room window. The 2005 Florida Fire in the Santa Rita Mountains destroyed 75% of this unique “Sky Island” when the Forest Service opted for “let it burn” instead of suppression. I’ve hiked to the burned areas recently, and recovery is spotty, if at all. Certainly I will never see majestic ponderosas and Doug firs in those areas in my lifetime. Was letting it burn a smart move, considering how few acres compose the Santa Rita range? Because the wildland-urban interface conflict and the ‘let’s save what we’ve got’ stance are a major concern, the new policy is designed to look closer at what dictates managing a fire and when to let the fire manage itself. This is not going to be easy. Will wildland firefighters now be trained to battle structure fires? Will structural firefighters now be called to battle forest fires? Should we put out fires in areas where not putting them out can completely destroy an entire ecosystem? I am glad a new policy is in effect, but the challenges are still great. You can’t undo 100+ years of firefighting in one fire season or many fire seasons. Fire management practices are changing and will continue to change. The focus now must be on fuel management (thinning and prescribed burns) more than fire suppression, but even that takes years to accomplish. The answers are not cut and dry, and they are not easy. In the meantime, catastrophic wildfires will continue, and millions of acres will be lost. Let’s just hope we get a handle on it all before there’s no forest left for our children’s children to enjoy. It’s interesting to note that years ago, even if a woman wanted to climb Mt. Fuji, she was forbidden to do so. It wasn’t until the Meji Era ended in 1912 that the rule ended. This Era brought about a more accepting and modern culture, permitting women to participate in activities that were considered “for men only.” Despite the rule, however, one woman made it to the top in 1867, but details are sketchy. Lady Fanny Parkes is officially recorded as completing the trek. As one legend goes, Mt. 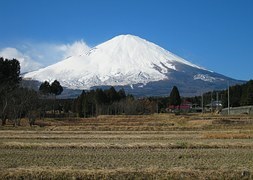 Fuji was thought to have a woman deep inside the mountain. Should she become jealous, she would erupt. This is why it is thought no Japanese woman climbed Mt. Fuji, even if she could. It took a brave Ms. Parkes to prove that no eruptions would take place if a woman set foot upon the mountain. After she did, other women soon followed suit. 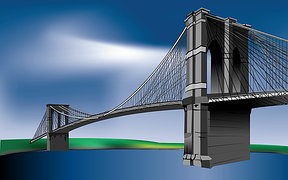 The Brooklyn Bridge is considered a historical monumental engineering project unlike anything built before. This bridge, spanning across the East River from New York to Brooklyn, was designed by John Roebling in 1869. Roebling’s daughter-in-law, Emily Warren Roebling, became in involved when her husband, Washington, took over after his father passed away. Emily Roebling didn’t want to be a passive assistant. While most women would have balked at engineering studies, Emily dove into unlikely topics such as mathematics, material strengths, stress analysis and cable construction. Little did she know how valuable those classes would be. Just a few years later her husband became seriously ill, leaving him nearly paralyzed. The bridge construction fell on Emily. Mrs. Roebling stepped right in. So perfectly, that many thought she was the Chief Engineer. Seems to me she was, even though the title was never officially bestowed upon her. While becoming an engineer had not been part of Emily Roebling’s life plan, she became one, overseeing the completion of one of the finest examples of engineering for its time. Is aerial firefighting worth the risk and cost? I just read an article questioning the effects of aerial attacks on fires and whether or not they work. That concern is nothing new. Dropping slurry on fires has often been the target of public officials disputing the cost, danger and effectiveness of this form of firefighting. Slurry is composed of mainly water and fertilizer: water to cool down flames, and fertilizer to encourage regrowth. The problem is slurry alone does not put the fire out. By the time the liquid filters through tree canopies, all you get is a fine mist with minimal coverage. Actually, the intent is to cool down the flames enough that ground crews can move in closer and build line, a cleared area to prevent the fire from advancing. Is it worth the expense? Many say it is not. However, what is interesting is that even though it is not all that effective, every year thousands of gallons of the pink mixture are dropped on wildland fires all over the Country. So why do fire officials continue to pour millions of dollars into aerial firefighting? Turns out it’s more for the news media and the public outcry than anything else. Take your average forest fire. News reporters are not allowed to be any closer than fire camp, and sometimes not even that close. This means no spectacular photos to plaster on the TV or newspapers. Add a dramatic slurry drop, however, and bingo! You’ve got some pretty dramatic shots that sell papers and glue people to their televisions. The other interesting phenomenon is that the general public doesn’t feel like a fire is being fought aggressively enough if they can’t see any obvious action. Aerial firefighting provides a sense of security to people, that something is being done to protect their homes, businesses and forest. Aerial firefighting is extremely dangerous not only to ground crews below, but to the brave pilots that fly in hazardous conditions. Steep terrain, unpredictable wind shifts and fire generated weather, all make this type of firefighting one of the most dangerous kinds of flying a pilot could face. Will aerial slurry drops end in the near future? It’s hard to say. What’s scary is that it might take a disastrous loss of life before changes take place. The deaths of the Granite Mountain 19 shook Forest Service policies to the core, and not only is the effectiveness of the fire shelter being revisited, but so is training and procedures previously thought to be adequate. The take-away here, at least for folks worried that government agencies aren’t fighting fires aggressively enough, is that just because you don’t see planes dropping slurry, it doesn’t mean nothing is being done. Patricia McCormick was so good at bullfighting, an elite Mexican bullfighter once said that had she been a man, she probably would have been a top bullfighter of her time. She wasn’t the first woman to fight bulls, there is no record of who was the very first, but she was the first American woman to do so in Mexico. 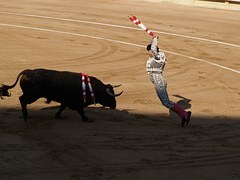 Ms. McCormick was only seven years old when she saw her first bullfight and became fascinated with the sport. She took lessons from a retired matador, debuting in 1951 in Juárez. It wasn’t an easy fight: the bull trampled and tossed her around before she killed him. It’s interesting to note that while many male matadors complimented her on her bravery and talent, none were willing to sponsor her so she could become a full-fledged matador, not just an apprentice fighter. But that didn’t stop thousands of fans from attending her fights, where she refused to fight bulls on horseback. She wanted to stand before them at their level. Ms. McCormick suffered a number of goring injuries, including a horn into her stomach and a life-threatening wound to her leg. The stomach injury was so severe, the doctor was ready to give up on her and give last rites, but she survived. Patricia continued to fight bulls until 1962, where she retired in California to a sedentary life of artistry and secretarial work. Life didn’t treat her all that well, and she continually had money troubles. Ms. McCormick never married, and never had any children. She died at the age of 83 in a nursing home. While bullfighting has never been of interest to me (I’ve always thought it was cruel), the fact that Ms. McCormick pursued something she wanted to do despite the odds, is what is important in this overview of her life. I guess the two men who doubted Annie Kopchovsky didn’t know they were dealing with a strong-willed, determined young mother of three,how to ride a bike. What the men didn’t realize was that not knowing how to ride a bike was a minor technicality that wouldn’t stop Ms. Kopchovsky. Part of the deal was she had to earn $5000 along the way to pay expenses, and she had to finish in 15 months. Not a problem for this entrepreneurial young woman. 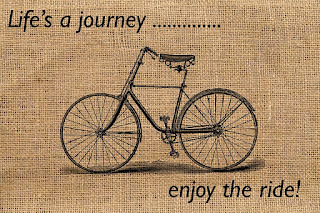 In 1894, just a few days before she was to leave, she learned to ride a bicycle. Then, leaving Boston, she hung a sign on her bike for Londonderry Lithia Spring Water Company after they paid her $100 for advertising their products. She also agreed to change her name to Annie Londonderry for the ride. Annie started out riding a heavy men’s bike. Upon reaching Chicago, she decided it wouldn’t work, and traded it in for a woman’s model that weighed half as much. Because no one told her what route she had to take or how many miles she had to ride, instead of proceeding west, she backtracked, and boarded a ship in New York sailing to France. Once in France, Ms. Kopchovsky again used advertising pinned on her clothes or hung on her bike to earn money for expenses. To cross the ocean, she sailed to East Asia and eventually arrived on the west coast of the United States. It took her six months to pedal the U.S., and she arrived in Chicago in September of 1985, a shave early of the 15 months that was required to win the bet. Annie Kopchovsky collected ten grand for succeeding, and then continued to earn extra cash by lecturing, and embellishing on, her adventures. She also wrote special features for the New York World for a while. After all the hubbub of a woman doing something so grand and unusual dwindled, she disappeared into a normal life of raising her children. Ms. Kopshovsky died in 1947. Most people have heard of the Iditarod race. They probably know it’s a grueling trek for hardy mushers and their dogs. It’s been named the “Last Great Race on Earth”. It also was a race strictly for men, until Libby Riddles came along in 1985. A little bit about the race: it is 1100 miles long, and traverses some pretty rough country. Mushers endure rugged mountains, ice covered rivers, thick, nearly impenetrable forests and tundra miles from civilization. Not to mention below zero temperatures and windchill enough to freeze skin solid. 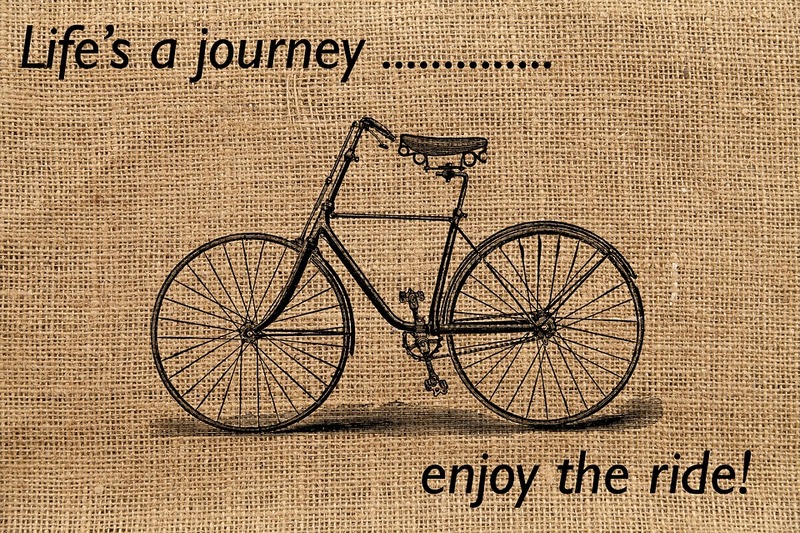 Why would someone want to make such a journey? It all started in the early 1900’s as an important mail route from Seward all the way to Nome, with a number of stops along the way. After dropping off the mail, mushers brought back gold. There’s much history that needs to be remembered along that trail. When Joe Redington organized this race, his goal was to preserve the legacy of the sled dog and what it has meant to Alaskan culture. Libby Riddles came to Alaska with her boyfriend when she was only sixteen years old. They lived the homesteading kind of life, and somehow she found she had the knack to train sled dogs for locals. 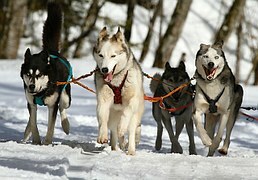 Then she thought to train them for her own sled, and entered the 1980 and 1981 Iditarod races. She drew much attention as the only woman, and unfortunately, for not doing well in the races. This meant no one would sponsor her. No sponsors meant no money. Life was tough on Ms. Riddles. She hunted for food, sold fur hats to feed her dogs. She had no running water or electricity. In 1985, Ms. Riddles decided to try again. And boy, did things ever go wrong. After her sled broke, her team ran off. Her dogs got sick. Two weeks into the race, a massive blizzard hit, and the competitors had to stop and wait it out. When the storm cleared, she had a choice to quit, or keep pushing. She chose to keep going. Another blizzard hit. She still kept going. Even with temperatures at 50 below zero and a 40 mph headwind, Libby pulled ahead of everyone else. Eighteen days, 20 minutes and 17 seconds after she started, Libby Riddles crossed the finish line as the first woman to win the Iditarod. Elizabeth Blackwell was only 28 years old when she was awarded a diploma from the Geneva Medical College in upstate New York in 1849. However, it was no surprise to find she had a tough time getting into medical school. Three had already turned her down. How did she manage to get into Geneva? It appears to have happened inadvertently. You see, the Dean wasn’t sure he wanted a woman amidst his all-male student body. He decided to poll the 150 young men, figuring it highly unlikely she could possibly be voted in, and declared that only one “no” vote would keep Ms. Blackwell out. What the Dean didn’t figure on, however, is that it seems the student body thought it was a joke, so they all voted “yes.” I can only imagine the looks on their faces when she showed up for her first class. Ms. Blackwell’s presence apparently played an interesting role in the way lectures were presented. First off, male students in medical school were notoriously rude and obnoxious—until Elizabeth joined them. Funny how the presence of a woman changed her classes into a more studious group than Geneva had ever seen before. Another stumbling block occurred when the coursework turned to reproductive anatomy. Such an “unrefined” topic was not ladylike, so the professor said, insisting she step out of the room. But protests from both Ms. Blackwell and her fellow students eventually made the professor back down, and he permitted her to stay. 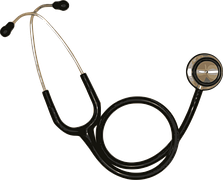 When it came time for Ms. Blackwell to start hands-on training, she discovered with dismay that the male patients did not want her to examine them. This frustrated her at first, but then she dug in and soon obtained plenty of clinical experience, specializing in typhus fever. Ms. Blackwell’s career advanced when she studied at La Maternité in Paris, where she became a revered obstetrician. Unfortunately, though, when she went to study at St. Bartholomew’s Hospital in London, she was not permitted to practice gynecology. It was 1850 by the time Elizabeth returned to New York City to start up her own practice, but no one wanted a female doctor, so she turned to helping the poor. She also began writing to help new parents and about how to maintain a healthy house, among other topics. To her credit, she started a medical school for women in 1874, teaching as a professor in gynecology until 1907. Ms. Blackwell’s prestigious life took a downturn when she fell down a flight of stairs. She never fully recovered, and died in 1910. The desire to swim 21 miles from Dover, England, to Cape Griz-Nez, France, across the English Channel, must be one of those challenges that are taken “because it is there.” It takes a hardy soul to endure the freezing, choppy water for hours, risking hypothermia and swallowing too much saltwater, both of which can be deadly. When Gertrude Ederle went for this tough swimming challenge in 1926 for the second time, she was only 19. Her first attempt was just earlier that summer, but her coach insisted she quit because he worried about how much saltwater she’d swallowed. Ms. Ederle fired him and hired someone else. Gertrude had learned to swim at the age of nine, and worked hard for six years to improve her form. At the tender age of 17, she won both gold and bronze medals in the 1924 Paris Olympics. A year later, she was the first woman to swim the length of the New York Bay. She also broke the men’s record for that swim by over 7 hours. When Ms. Ederle began her swim on August 6, 1926 at 7 a.m., she lucked out to have calm water, rare for the channel. However, that didn’t last. 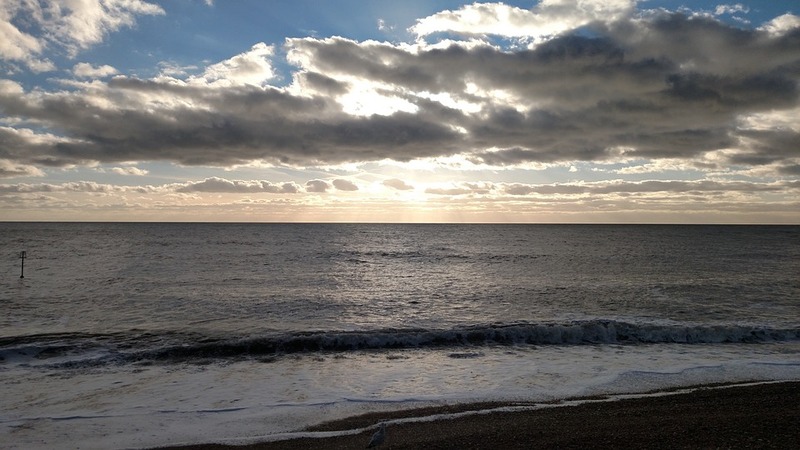 During her 14 and a half hour swim, two squalls tested her endurance with heavy swells and rough sea. Just after nine that night, she completed the crossing, becoming only the sixth person to have done so, and the first woman. To top off this great achievement, she shaved off two hours from the previous record. The ordeal cost Gertrude her hearing, however, and she spent most of the rest of her life teaching deaf children how to swim. She lived to the respectable age of 93. Based on Naomi James’ past, you wouldn’t think she would have made a good candidate for sailing around the world. First off, she was born in New Zealand, on a sheep farm, miles from the ocean. Second, she didn’t get around to learning how to swim until she was 23. Uncertain about what to do with her life, she went to hairdresser school. 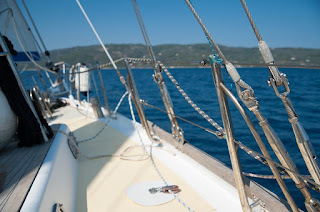 She found that boring, and decided to sail to Europe. On the ship, she got incredibly seasick—another good reason not to take up sailing. When in Europe, she met her husband-to-be, who just so happened to own a yacht. In love with the man, she soon fell in love with sailing, too. He taught her everything about sailing, and while he was off in a race, she decided to sail around the world, alone, and without stopping. Was this a smart move with only six weeks sailing experience? Apparently, the logic didn’t cross her mind. Her husband, Rob, agreed to support her in this quest. On September 9, 1977, Naomi set out on her dream trip with a loaner boat (the Express Crusader) and supplies purchased with sponsorship money. Naomi relied solely on old-fashioned technology for navigation: a sextant and chronometer for figuring out latitude and longitude. It didn’t help that she wasn’t very good at this; she often got the two confused. Because Ms. James was sailing some of the most treacherous waters known, it’s no surprise she ran into some massive storms. One capsized her boat during the night, and she woke up on the ceiling. Lucky for her, the boat righted itself with minimal damage. Nothing short of a miracle. Naomi’s dream of sailing nonstop came to an end after that terrifying ordeal. A minor disappointment, really, considering she’d already traveled 8000 miles without radio contact. The remainder of her trip was rather uneventful. Settling in Ireland with her husband, Naomi was pregnant with her daughter when tragedy struck her new family. Her husband drowned in a yachting accident. It wasn’t his death that stopped her from ever sailing again she says; she just lost her interest in the sea. 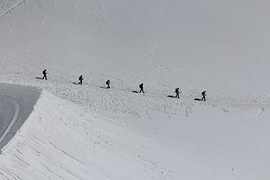 For Junko Tabei, climbing Mt. Everest wasn’t to prove a point, and certainly not to prove she was better than a man for having done so—she just had a passion for climbing. Born in Japan in 1939, she has climbed many mountains, starting after graduation from college in 1962. Mt. Everest, (at over 29,000 feet), was on her “to-do” list. In 1975, she did. Mrs. Tabei’s accomplishment came at a time when women in Japan were exerting their rights to be more than “tea servers”—which, incidentally, happened even if they worked in an office. One thing for sure, Junko had little support with her planning, along with 14 other women, to make this climb. Many men admonished her for not staying home and raising babies. Japan was decades behind in women’s rights, making Junko’s tenacity that much more admirable. After a harrowing and yet enthralling experience on that fateful May climb, in 1969 Junko formed a woman’s club called the “Ladies Climbing Club: Japan (LCC)”. In addition, she is grateful she made that climb prior to it becoming a status symbol and contest to see who could hike it faster, younger and even standing buck-naked on the top. Additionally, her passion for Everest extended into concerns for the degradation of the environment. Trash, urine (enough to fill over 3000 bathtubs) polluting the water for villages down below, and even (this is particularly disconcerting), the bodies of those who die on the climb, still threatens a formerly remote area. Besides her campaign to return Mt. Everest to its pristine state, Mrs. Tabei is also focusing on hiking every major peak in every country. She’s doing pretty darned good, too. So far, she’s at 60 peaks and still going strong. Oh, and did I mention she is 72 years old? Canadian Molly (Myrtle) Kool was one cool lady. She loved the water, and spent much of her childhood working on a scow with her father, Paul Kool. Longing to be her father’s first mate, she applied to the Merchant Marine Institute in Yarmouth, Nova Scotia in 1937, but they did not accept her. However, that didn’t faze Ms. Kool—she kept trying, and earned a coastal master’s certificate in 1939. Here she was, only 23 years old, and a Captain! This may sound like an easy road for Molly, but it was not. Fellow sailors gave her a pretty rough time on the rough waters of Bay of Fundy, where she hauled cargo. However, Ms. Kool kept her cool and was known for her smart comebacks in times of stress. When her ship collided with another in dense fog, she was tossed overboard and in danger of being chopped to bits by the ship’s propeller. Lucky for her, she was able to grab a piece of wood to stay afloat. When passengers on the other ship threw life preservers at her, she hollered at them that she was already afloat, and to quit throwing “useless stuff” and send a boat to rescue her. When Molly married in 1944, she moved with her husband to Maine and learned to enjoy living on the land. She lived until the ripe age of 93, outliving her first, and second, husbands. Well done, Captain Kool, well done. Since the late 1800s, the Forest Service was strictly a man’s world. Women were not even working in offices until men decided they disliked paperwork. No big surprise there! 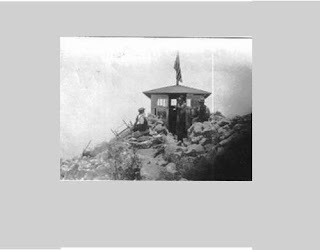 Despite this support, she was met with opposition from other men, who insisted that women could not handle being alone in lookout towers, as no doubt they would be afraid of the isolation and many dangers. “She’ll be on the radio the first night, pleading to go home,” a ranger is quoted to have said. I’ll bet Hallie laughed herself silly over that one. Of course she proved them wrong, and this spirited woman showed the same skill and aptitude of any man, and continued working as a lookout for 14 more years. Thanks to Joanne Burch for providing the photo of her uncle building a fire lookout in Southern Arizona. As the old joke goes, “Who would want to jump out of a perfectly good airplane?” While humorous, it wasn’t too far from the reason parachutes were invented. At least someone had thought of the fact that along with inventing the airplane, pilots would need a way to bail out should something go wrong. And of course, they had to practice. However, first came parachuting from hot air balloons. The first woman to jump out of a balloon was Jeanne-Genevieve Garnerin wearing her husband, Andre’s, frameless chute, in 1799. Jeanne-Genevieve and her husband flew and jumped out of balloons (perfectly good ones, at that) for entertainment events. 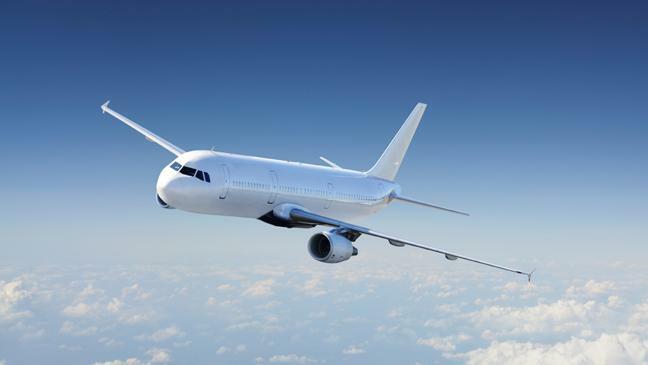 It wasn’t until 1913 that a woman leapt from a plane. Georgina Ann “Tiny” Thompson had a very rough time early in life: married at 12 years old, her first baby at 13, slaving in a cotton mill for 14 hours a day—it wasn’t until she turned 15 that she thought to change her destiny. What inspired her? A Charles Broadwick carnival parachute show. “Tiny” would wear fancy bloomers and pink ribbons as she stepped out of the plane’s doors, floating gracefully to the ground for 2000 feet. Back then, the parachute was rigged to open from a string attached to the fuselage. It wasn’t until a near-tragedy occurred—the parachute ropes got tangled in the tail—that “Tiny” did the only thing she could think to do: she cut the ropes, and while free-falling, pulled the leftover line and effectively getting the chute to open. She’d just invented the ripcord. If that wasn’t enough to scare her into staying on the ground, I don’t know what would. There were a number of additional frightening incidents to follow during her over 1000 jumps, including tangling in high-tension wires and even a windmill. Once she landed on the roof of a train, although there is no mention if it was moving or not. “Tiny” continued to parachute, and throughout WWI she was an advisor for the U.S. Army Air Corps. She died at the age of 85. Most people assume Sally Ride was the first woman in space. Ms. Ride performed as mission specialist aboard the Challenger in 1983. But did you know she was not the first woman in space, but the first American woman in space? Valentina Tereshkova beat Sally Ride into space by twenty years. Ms. Tereshkova fell in love with skydiving at the age of 22, attracting the attention of the Soviet space program, who wanted not only to beat the United States into space, but beat them into space with a woman onboard. In June of 1963, Soviet Cosmonaut Tereshkova made 48 orbits over a time period of 71 hours, longer than all U.S. astronauts spent in space combined, up until then. 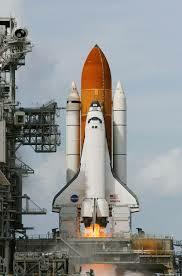 Where her sky diving expertise came into play was with the tricky 20,000 foot capsule ejection required during reentry. How’s that for nerves of steel? After her amazing feat, she never flew again. Where was the United States during all of this? The U.S. did consider allowing women into the space program in the late 1950s and early 1960s, but decided to keep the program all male until Sally Ride joined twenty years later. The very first woman firefighter was not a woman looking “to do a man’s job”. In fact, she wasn’t even a woman free to make decisions. Molly Williams was a New York City black woman and a slave. Her owner, Benjamin Aymar, happened to be a volunteer fireman. In 1818, a crippling blizzard hit New York City at the same time a massive flu outbreak sickened the entire male fire crew. With everyone out of commission except Molly, what else could she do but pitch in when a fire call came in? Wearing a calico dress, she dragged out the pumper and tackled that blaze all by herself. However, 164 years would pass before New York City would see a woman fighting a fire. Not until 1982 did Brenda Berkman become the Fire Department of New York’s (FDNY) first woman firefighter. While the distinction was overdue, it wasn’t an easy time. Male firefighters made her life miserable. One even cut her fingers with a knife after she attempted to scrape off a degrading article about women on fire crews pasted on the firehouse wall. What happened to the man? He was suspended without pay and fined $15,000, but did not lose his job. His buddies raised enough money to pay the fine, so even that punishment had no meaning. Over the next ten years, more women stepped into firefighting jobs with the department. One is now a lieutenant and the other became head of United Women Firefighters for four years. While the number of women in the FDNY is at 43, that hasn’t change much since the original women joined in 1982. Firefighters Regina Wilson and Tracy Lewis are both avid recruiters, hoping more women join them in what Lewis calls ‘a tough job, but one she loves’. Helen Richey never was much interested in dolls and dresses as a young girl, which probably didn’t sit well with folks in 1909. With her father in education, she was lucky to be able to attend college for an education career, but it bored her, and she dropped out. Teaching just didn’t interest her What to do with her life? She’d no clue. Helen and a girlfriend decided to go fly in an airplane. It’s funny how things in life can just fall into your lap: when their plane landed in Cleveland after a short flight, she arrived just in time to see aviator Ruth Nichols, surrounded by the press, fussing over her and taking photos left and right. Bingo! Right then and there she knew she wanted to be a pilot. By the summer of 1930, she received her pilot’s license, and as a reward, her father bought her an open-cockpit bi-plane. That was fun; but Helen already had her sights set on flying a commercial airliner. Six months later, she had that license as well. But that was not enough for this ambitious young woman. She wanted more! Next on her agenda: stunt flying. Helen took to aerobatic piloting like she’d been doing it all her life. In a mere two years, she had achieved national recognition, and came in third place in the 1932 Amelia Earhart Trophy race. Helen continued to participate in races across the country for two more years. After the loss of a close female aviator friend in a tragic plane crash, she abandoned stunt flying. In December of 1934, she accepted a job with Central Airlines, becoming the first woman to fly a commercial airlines on a regular schedule. That was all well-and-good, until she discovered that the airlines had ulterior motives. They wanted to cash-in on her notoriety. She actually flew very little, and when she did, it was under strict guidelines: only in good weather. Her male counterparts gave her a hard time, souring this job in less than a year. Although WWII had not begun, there were enough signs that Helen thought to prepare. She enrolled in pilot instruction courses, and soon was ready to train military pilots. After that, she taught airline pilots how to become instructors. Helen finally became involved in WWII in 1942, but not in the United States. In England, she would join the British Air Transport Auxiliary, or ATA. In the ATA, she ferried planes from factories to airfields. This might sound easy, but in reality, she never knew what kind of plane she would be flying, and would find herself scrambling to read the manual to figure out how to take off and land the darned thing. About nine months later, Helen returned to the United States to organize a group of female pilots. This happened about the same time her mother became seriously ill, and died. Despite her loss, and silent grief, she did manage to keep racking up flight hours and notoriety. She achieved the rank of Major. After the war, it became harder for her to find employment as a female pilot, because men were returning and were given the jobs she was qualified for. Depressed over the death of her mother, a close friend, feeling unappreciated and lost, Helen committed suicide on January 7th, 1947. Such a tragic ending for such an inspirational story of courage and fortitude. In March of 2010, Helen Richey received the Congressional Gold Medal for her WWII service. It’s sad she wasn’t appreciated sooner for all of her wonderful accomplishments. Is firefighting all about physical strength? Quite often the first thing people think of when they imagine what it takes to be a wildland firefighter is physical strength. I’ve had people look at me and say they can’t imagine how little-bitty-me could have possibly handled such a job. If you are a woman considering a fire job, but worried you aren’t strong enough, stop worrying. The deal is—physical strength is not the only attribute needed to handle a tough job like firefighting. Who would make an ideal firefighter? While not everyone can all have all of the same attributes, here are some personal qualities that certainly would contribute to a sound and effective fire crew. First off, fitness level and stamina are important, maybe more important than strength, and are something that anyone, regardless of gender, can attain with training and dedication to staying fit. Eating right? That’s a plus; because you can’t put the kind of demands firefighting requires on a body running on junk food and alcohol. How about dependability, honestly and being trustworthy? If you can’t depend or trust someone on your crew, you’re all in trouble. Someone who is a quick-thinker and a quick-learner is important, especially if they can tap into those resources under pressure. I’d sure want to have someone like that by my side on the fireline. That goes hand-in-hand with dedication. You have to be dedicated to this job, or else find another line of work that is better suited to you. Good communication skills are a must: which means that not only do you need to be able to express yourself clearly, you must know how to listen. Little is more detrimental to getting the job done right than someone who acts like they are listening, but are too busy thinking about what they will say next to actually comprehend what they are hearing. What about common sense? It’s not as common as the term implies, and those that have it are one or even two steps ahead of everyone else. A sense of humor is also a bonus—a whiner and complainer can bring morale down, which is not good for teamwork. To be clear, not everyone can have every one of those attributes. This is why a fire crew, composed of diverse members who all contribute their individual strengths, make the team stronger than it would be if everyone had identical strengths and weaknesses—and there will be weaknesses. We all have them! The ideal fire crew will have multiple, non-duplicated strengths, and will cover each other’s weaknesses, therefore making the weak spots less pronounced. Gender has nothing to do with what makes or breaks a good fire crew. If you’ve read Bill Bryson’s A Walk in the Woods, you probably enjoyed his escapades with his buddy, Katz, while the unlikely pair attempted to complete the Appalachian Trail. 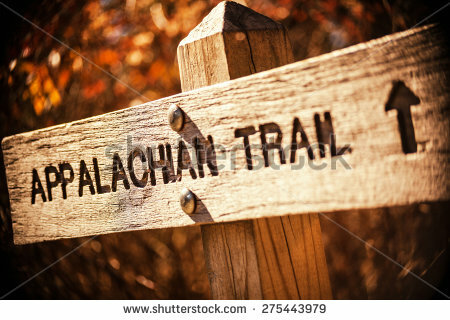 It’s a good story, but recently I stumbled on an article about the first woman to solo hike the Appalachian Trail in May of 1955, at the age of 67—six months before I was born. I love stories about women “firsts.” It goes to show women were tough back then, and certainly have the ability to be tough now. I don’t know if anyone gave her a hard time about hiking that 2050 mile trail alone, but it doesn’t matter. She wanted to, and she did. What happened to the Federal Women's Program? The High Country News just published yet another article on the challenges of being a woman on a wildland fire crew. Again, it brought back the anger and resentment of being treated as less than equal. One thing I’ve not seen in the articles published lately, is much about the Federal Women’s Program (FWP). The FWP was formed in response to adding gender to the Equal Employment Opportunity Act (EEO) of 1969. Established in the early 1970’s to promote women in the Forest Service as the entered a “men only” world, this organization held workshops to educate women not only on how to advance careers, but what to do in the event they face sexual discrimination, harassment, or a hostile workplace. 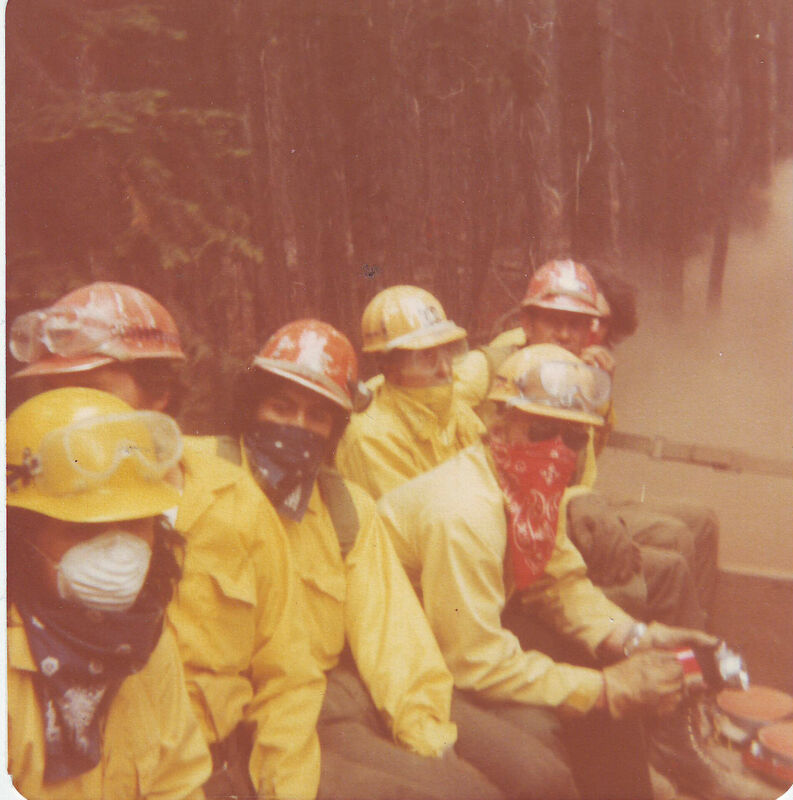 My experiences with FWP began in 1976, near the end of my first fire season. A five-day workshop was held in Patagonia, AZ, where 36 women from the Coronado National Forest gathered to learn what FWP was all about. Out of those 36 women, only three were firefighters, including me. After the first session, I began to realize women weren’t welcome in the Forest Service unless they were timekeepers (my first Forest Service job), fire lookouts, or in other office work positions. While two of men on my crew made it clear they didn’t want me there, the rest of the guys accepted me, or so I thought. One of the other woman firefighters told me how horribly she was treated, including being left behind while the men went to fires. At least that hadn’t happened to me. I fought six fires that summer. On the last day of the workshop, the facilitator gave us an assignment: interview the men we worked with and ask them their opinion of women on fire crews. We would then meet at a later date to discuss our findings. Not remotely concerned about this, I approached the assignment thinking all would be fine. But it was not. I learned a very painful lesson that day, one that changed my sunny disposition and career outlook dramatically. Only three of the men I’d worked with all summer approved of my presence on the crew. However, that didn’t stop me from pursuing this career. It wasn’t until 1978 I was denied a job outright because I was female. Using the resources I was given by the FWP facilitator, I filed an EEO complaint against the man who told me he would not give me a job I was fully qualified for because he “didn’t hire women on his hotshot crew.” What happened? Absolutely nothing. He denied the conversation took place. That was just the beginning, however, because later I would discover that this complaint would follow me to another National Forest, and blacklist me forever as a troublemaker. Where was the FWP during this? Nowhere to be found. Women still have a long ways to go in this field. It’s gratifying to see more published articles, but is that enough to change attitudes of hiring managers and fellow crewmembers? I used to blame it on the times (mid 1970’s) and old-school thinking, but that doesn’t explain young men today for thinking the exact same way as men thought of women 40 years ago. So where is FWP now? How is it helping women in the Forest Service? From what I’ve read, the organization still exists, but is far from being active in the cause it was formed to advance. Changing attitudes will take more than education, I’m afraid. It appears the only thing that will change attitudes was, and still is, women proving they have what it takes. I stumbled on an article this morning in the Salt Lake Tribune about how efforts to recruit more women into wildland firefighting jobs made by the U.S. Forest Service and former women firefighters seems to be working. While the average number of women in these jobs nationwide is about 10% (which is 10x the number I found in my research), these efforts have bumped the percentages up significantly. What great news! It was also heartening to read other women's perspectives on why they loved their fire jobs. They all touched on the reasons why I loved my job. The camaraderie, satisfaction, excitement, being outdoors...all of it. I jumped to the comment section of the article because I wanted to add a few thoughts about my former fire career, and how good it was to hear more women were discovering all of the wonderful things about not only a job working in nature, but one filled with excitement, prestige, satisfaction and pride. Reading through the comments first before posting, my stomach turned. Here were men bashing women, wondering why these women wanted to be "male", or if they were just filling a "women" quota, and other derogatory statements, including references to women envying and wishing they had a certain male piece of anatomy. Exactly the same kind of crap I used to hear over 30 years ago. These guys must feel their manhood is being threatened. When I became a firefighter, I did NOT take on the job because I wanted to be a man or to because I wanted to be better than the men; I took the job because I thought I would like the work. I loved my job, did my job quite well as a matter-of-fact, and resent any man telling me that I was trying to be a "man" for choosing that career path. To women in men's jobs: Stick with it! Stand your ground! Please don't ever let men put you down or make you quit. Some day I hope we will no longer have to prove our abilities. May that day come soon. Forty years ago, I become one of the first women firefighters for the U.S. Forest Service. Not because I had anything to prove, not because I wanted to meet men, I took this job because I thought I would love the work. And I did. Discrimination never crossed my mind. Why would men discriminate against me? I naively thought. I was a hard worker, never complained, and felt quite proud to be part of a team. Soon though, I would discover that although the guys seemed to like me, they resented my presence. Some more than resented my presence, they denied me positions because I was a woman. Fast forward to present time. Nothing has changed! Men still resent women in male dominated fields. This article in the Huffington Post exemplifies just how hard and degrading it still is for a woman in a man's world. I've been told I was lucky that my Forest Service career ended after an injury, and maybe they are right. Would I have been able to tough out 40 years of harassment to stay in the field I loved? Hard to say.. But I sure commend the women who stick with it. So here's to you women in "men's jobs". Don't give up. Please don't give up.